On 22-24 Apr, 2015 the audit of production of Vipera berus venom at Siberian Serpentarium Ltd. was done. The committee of Senior Inspector Department of Inspection of State Agency of Medicines (Estonia) Mrs. Hille Kask and the Head of Quality Control and Development Department of Tallinn Pharmaceutical Plant JSC Mrs. Galina Kutepova (Estonia) inspected the production facilities and working documents of Siberian Serpentarium Ltd. for compliance with the requirements of GMP for active substances (API). The documental resolution is expecting within May, 2015. On 02nd May our strategic partner Tallinn Pharmaceutical Plant JSC (Tallinna Farmaatsiatehase AS) celebrated its 100-year anniversary. We congratulate parent company Grindeks AS, management and staff of the Plant with this significant date! We wish them financial success, wealth and new interesting ideas! The VIPER Institute The University of Arizona (USA) has published on website the List of Venom Suppliers Worldwide in which Siberian Serpentarium Ltd. is the only representative of this sector in Russia and Eastern Europe. We are grateful to Mrs. Leslie V. Boyer, MD – the founding Director of the VIPER Institute for the List work done and her attention permanently paying to the problems of investigation of venoms and anti-venoms as well. We are very pleased to inform that recently the list of our business partners had increased with BIOMED Sera and Vaccines Manufacturing Company in Warsaw (Poland). BIOMED is busy in production sera, vaccines and other bio-preparations including Viper antitoxin (Immunoserum contra venena viperarum europaearum). We wish our new partner success and business prosperity and we believe in prolongation and extension of our collaboration! 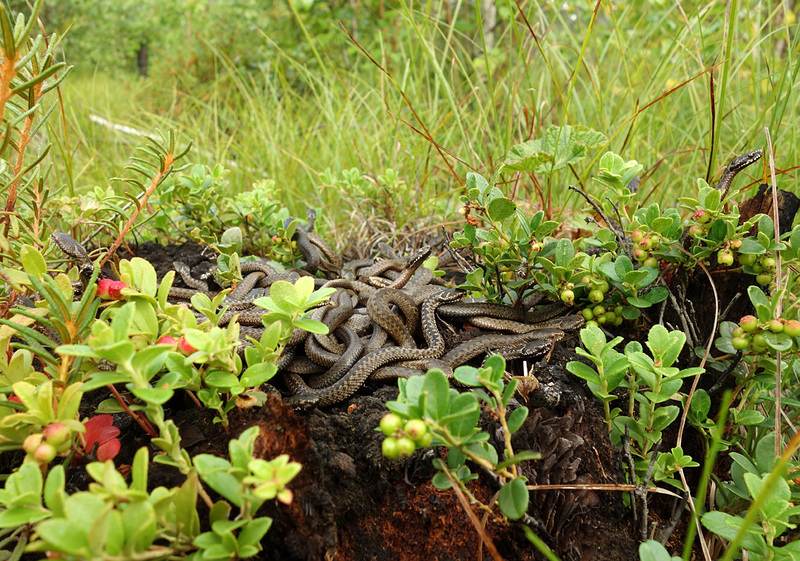 In order to maintain the population of Vipera berus in its natural ecotopes our specialists had disenthralled the young growth of Vipera berus bore by female of working livestock in the summer 2013. 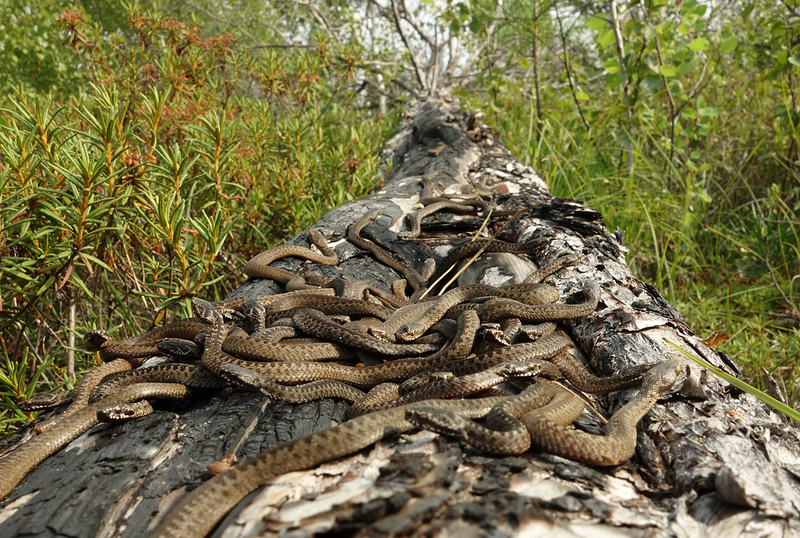 Thus in July, 2013 the Head Herpetologist Alexander Pisarev and the Herpetologist Vasily Kokenko had disenthralled in the vipers' catching stations of Kolyvan, Kragat and Chulym territories 1430 young vipers which had seen the light in the summer 2013. The disenthralls were done there they had noticed the heightened concentration of the main feed objects of young vipers such as young growth of agile frog (Rana dalmatina) and newborn viviparous lizards (Zootoca vivipara). We believe that our fosterlings will successfully pass the winter and in 4-5 years they will take part in the increase of Vipera berus population in Novosibirsk region. Photo 1, Photo 2. On July 17, 2013 in the age of 66 Petr Dmitrievich Grigoriev, our eldest snake catcher and simply wonderful man had died. The snake catchers team headed by Petr D. Grigoriev captured Vipera berus for serpentarium of Novosibirsk in Kyshtovsky area of Novosibirsk region from 1989. Since that time the snake catchers from Kyshtovka’s had captured for us more than 10`000 vipers. The colleagues and family are mourning about irreplaceable loss and going to continue the matter of Petr D. Grigoriev in his memory. On June 13, 2012 the Russian Ministry of Health had made a decision about including of the changings to the documents of the Registration File for API Dry venom of Common Viper (Vipera berus) because of the new Pharmacopoeia Monograph of Producer was issued. This new normative document of quality was labeled LS-002515-130612. Thus in accordance to the Russian Federal law 61-FZ of Apr 12, 2010 “About Drug Circulation” the unlimited national registration of API Dry venom of Common Viper (Vipera berus) was confirmed. The validity period of previous registration certificate had expired from Dec 29, 2011. The appropriate information about the changings was included to the National Register of Drugs at the end of Dec, 2012. On November 26, 2012 Siberian Serpentarium Ltd. had got the new unlimited license for production drugs issued by the Ministry of Industry and Trade of the Russian Federation. The term of validity of the former license issued by the Federal Service on Surveillance in Healthcare had expired in October 2012. In accordance to the current regulations the new license spreads on production, storage and distribution of API’s obtained by the methods of isolation from the sources of biological and animal origin. We consider such formulation to be the most corresponding to the work of Siberian Serpentarium. The former license had defined the drug forms premised for production and rated snake venoms as biological drugs. On September 3-5 the committee from Tallinn Pharmaceutical Plant JSC composed of Galina Kutepova (Head of Quality Control and Development Department) and Allan Ahtloo (Head of Sales and Logistics Department) had visited Siberian Serpentarium Ltd. for the purpose of production and quality control audit at the new facilities of Siberian Serpentarium in Novosibirsk. Siberian Serpentarium Ltd. had changed the production area in May, 2011. The new facilities allowed to considerably increase the areas of snake farm, production and analytical laboratories, staff and auxiliary rooms as well.